Stay in Lake Balaton's best hotels! Bonvital Hotel Hévíz Adults Only is located 820 feet from Thermal Lake and features a free spa and wellness center with a swimming pool and sauna. Wi-Fi is provided for free. Very nice place. Everything was perfect! 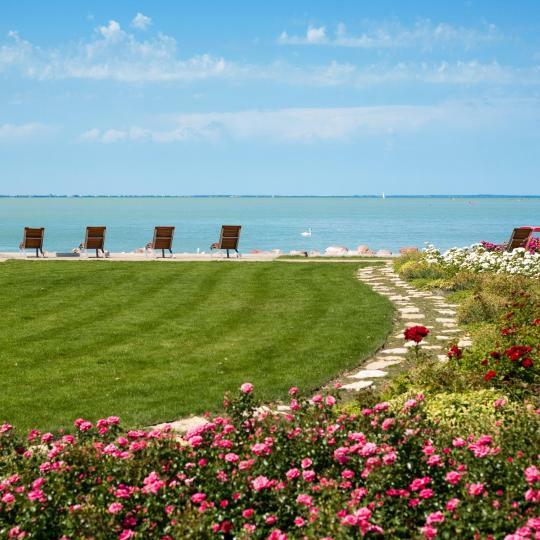 This 3-star hotel is set 820 feet away from the beach at Lake Balaton. Each room has a balcony, overlooking Hotel Kentaur’s private park. Wi-Fi is free in public areas. The place was clean and the staff went out of their way to help us with anything we needed. We had a great room with a balcony and it was near the water. Trend Hotel Siófok provides air-conditioned accommodations in Siófok. Featuring a terrace, this property is located near attractions such as Siófok Protestant Church. Very comfortable and clean rooms. Very close to all restaurants and nightlife. Located in Balatonfüred, Villa Vitae Balatonfüred provides free bikes and outdoor swimming pool. Providing a fitness center, the property is located within 2 miles of Annagora Aquapark. Located in Alsóörs, Alsóörs Marina Hotel has a garden and terrace. Featuring a shared lounge, the 3-star hotel has air-conditioned rooms with free WiFi, each with a private bathroom. Good location with marina views. Nice restaurant with good food and free breakfast. Free WiFi and parking. Staff was friendly and hotel location is convenient to several other restaurants and the strand beach area. Offering a sun terrace and a private beach area, Pole Position Beach Hotel is set in Balatonszárszó, right on the lakeside. The private beach and the view. The Apartman Bella Hotel is located in Siófok, only about 492 feet from the Petofi promenade, Siófok Beach Club and the city center's Sio Plaza. Everything was excellent. Extra clean, changing towels every other day, cleaning every day. Located in Balatonkenese, Hotel Dolce Vita offers a garden. The property has a terrace, as well as a bar. The property features hot tub and free WiFi. Super clean, modern, cosy place, nice breakfast, friendly staff. The Chateau Visz is located amid a large park, about 7.5 mi from Balatonlelle and Lake Balaton. 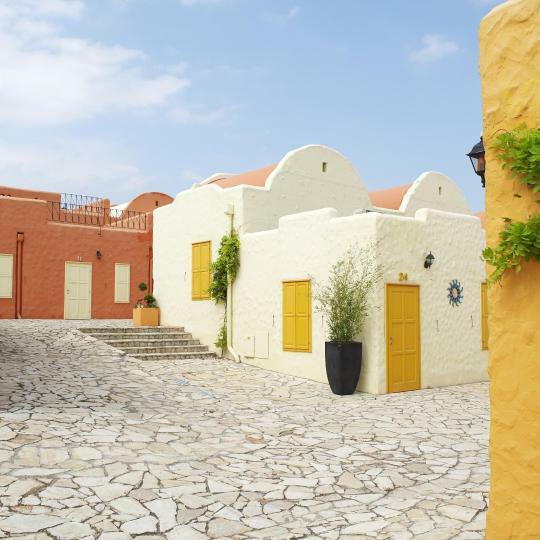 It offers you elegant rooms, fine cuisine, an indoor pool and free Wi-Fi. The Wellness Hotel Katalin is located on a peaceful spot in Gyenesdiás, 656 feet from the shore of Lake Balaton and close to the towns Keszthely and Hévíz. The whole experience was great, from the moment we have arrived til when we left. Located in Balatonfüred in the Veszprem Region, 656 feet from Annagora Aquapark, Akadémia Hotel features a terrace and spa center. Guests can enjoy the on-site restaurant. Everything was new (hotel was opened 2 months ago)! Very good hotel! Located in Balatonlelle, a 14-minute walk from Napfény beach, BL Garden features a private beach area, a seasonal outdoor swimming pool and a fitness center. Arkánum Hotel provides air-conditioned rooms in Balatonmáriafürdő. All rooms feature a flat-screen TV with satellite channels and a private bathroom. Nice accommodation, swimming pool, staff is nice, beach is approx. Balatoni Panoráma Villa is set in Balatonalmádi, 9.3 mi from Siófok. It offers a tempered pool, a large terrace and a balcony with views of the lake. The view towards Lake Balaton is excellent. Bed is huge and staff member was helpfull. Peacefully located in the center of Veszprém, Völgyikút Ház offers a spa and fitness center free of charge to all guests. Free parking is provided in a garage and free WiFi is available in all areas. The place was great and very quiet. Surrounded by a park-like garden with a kids’ playground and barbecue facilities, Hotel Bakony enjoys a calm location in Tótvázsony, in the south part of south part of Bakony Mountains. Perfect home kitchen , very quiet place perfect for rest with kids . 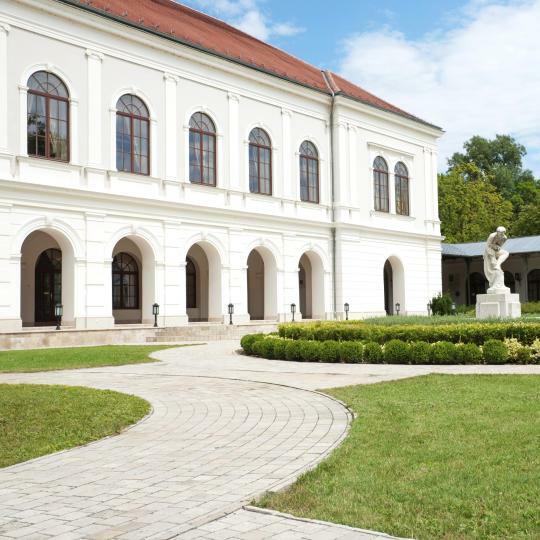 Originally a mill house, the modernized Hotel Historia Malomkert offers panoramic view of Veszprém Castle. It houses an open brewery and a children's playground. Free parking is available on site. Very clean and comfortable room. 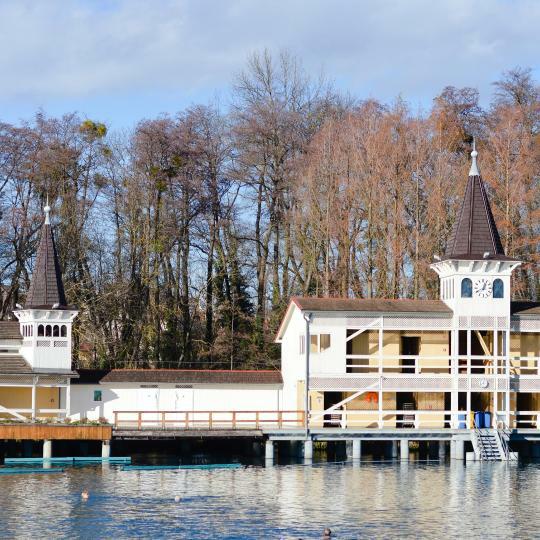 Located in the town of Hévíz, 2625 feet from the thermal lake, Ágnes Hotel provides different accommodations units. Had a swimming pool and a Jacuzzi. The 5-star Hotel Azur Premium in Siófok offers a private beach on Lake Balaton and a large wellness center with an indoor pool, hot tub, sauna and panoramic views of the lake. staff was very kind . SPA is excellent . Located in the resort town of Balatonboglár, this beautiful villa offers a private beach on Lake Balaton. Very clean. Modern interior. Very good location. Located in central Balatonföldvár, this hotel offers a restaurant with a lush garden terrace and barbecue parties in the summer. Lake Balaton is only 656 feet away. Generally everything was alright for the price we paid for. 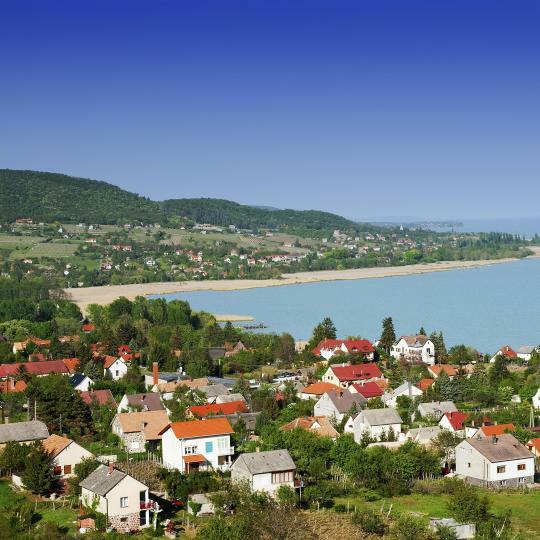 Opening in July 2011, Hotel Wellamarin is centrally located in Zamárdi, 66 feet from the shore of Lake Balaton. It offers elegant rooms and an indoor and outdoor pool. The location, the pools, the food and the staff are all great! Set at the edge of the Sed Brook in Veszprém's picturesque valley, Betekints Wellness Hotel is 9.3 mi away from Balaton Lake, and it houses an à la carte restaurant with wide wine and beer selection... Staff is very nice and helpful. Hotel Gabriella is set in a former watermill in the small town Tapolca. It offers spacious, air-conditioned rooms, free access to Wi-Fi in the lobby and a 24-hour front desk. Brilliant place if you are staying in Tapolca. Close to everywhere and very cozy. The Anna-ball takes place in Balatonfüred in July every year and is one of Hungary’s oldest annual balls, involving concerts,a beauty contest and other festive events. Tihany Abbey holds the tomb of King Andrew I who established it in 1055. 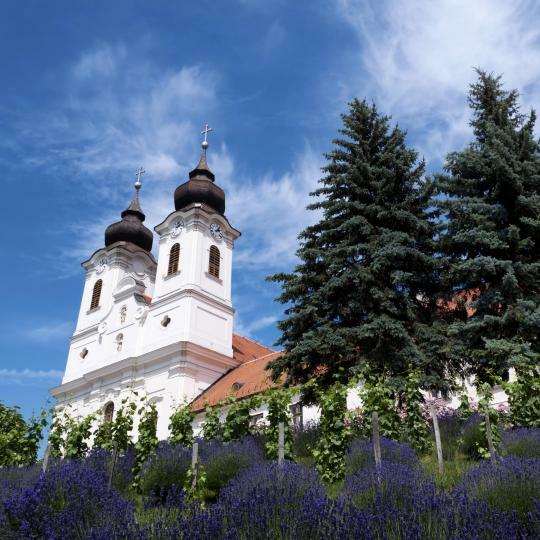 Climb to the top of nearby Echo Hill to hear the famous Tihany echo bounce off the abbey walls. Castles, vineyards and picturesque spa towns make a cycling tour around Central Europe’s largest lake worth the effort. Lake Balaton is lined with 210 km of cycling trails. Go for a splash at the Annagora Aquapark and follow up with a visit to the nearby Sun City entertainment centre, inspired by ancient Greek architecture. 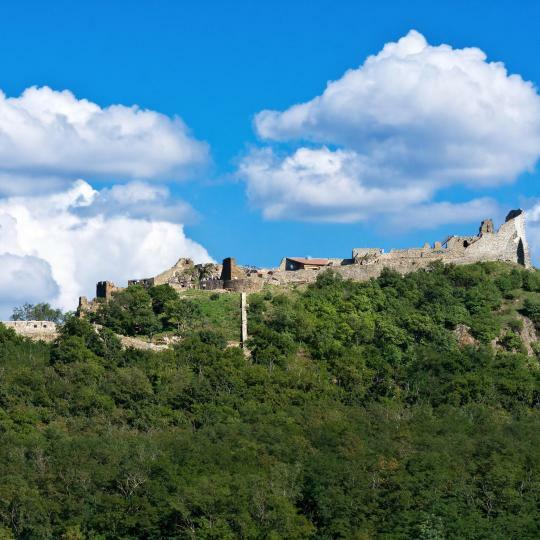 Concerts and celebrations are often held in the medieval ruins of Szigliget Castle at the top of Várhegy Hill,where the view of Lake Balaton is breath-taking. 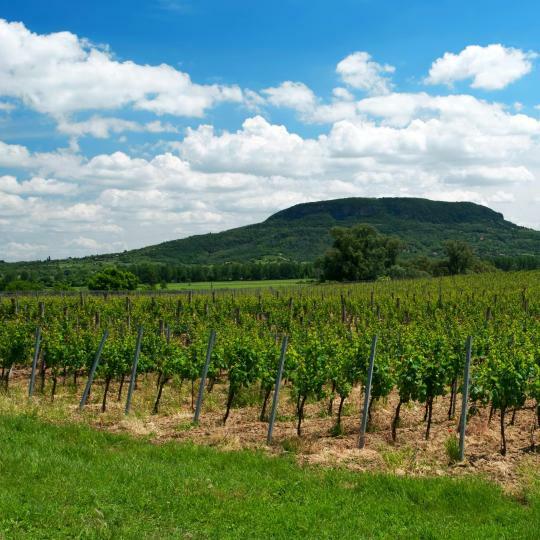 Plenty of wine festivals are organised around Lake Balaton throughout the year, with the Balatonboglár Wine Festival the biggest in the region. 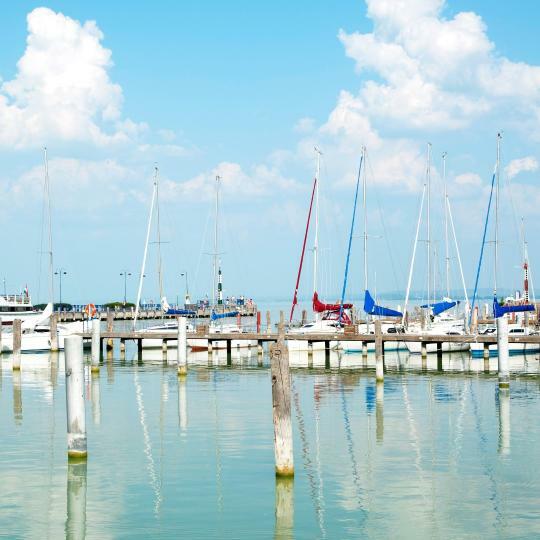 Lake Balaton is ideal for sailing and other water sports. In fact the biggest lake sailing contest in Europe, Kékszalag, is held on Balaton every year. Keen revellers can party in the capital of Balaton. 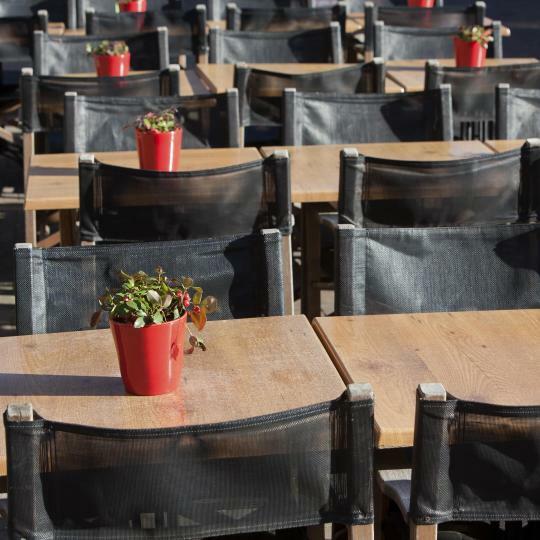 The Petőfi Promenade in Siófok boasts an impressive variety of lively bars, nightclubs and restaurants. The 4 km long Aranypart Beach in Siófok is the perfect spot for soaking up the sun, building sandcastles or going for a splash in the lake. Set 8 km northwest of Balaton is the second largest thermal lake in the world. Lake Héviz is said to have medicinal effects and is surrounded by unique flora and fauna. while everything in Lake Balaton was off season and most towns were almost dead, this hotel made up for all of that at Balatonfured. They had a heated pool, sauna, and breakfast and dinner, which complemented our walking around in the town for drinks and food. It also has parking on site. the room was spacious and had a sitting area on back looking to the lake down slope. In the summer this place must really be great with sailing boats and swimming on Lake Balaton. Everything was much better in this accomodation than i could ever expect for the price. Bed was big and comfortable. Bathroom was good. Everything was clean. Owners were friendly and spoke good english. Location very close to (small) railway station and lake Balaton, opposite very nice looking night club. If i ever come to Balaton on high-season i would definately want to stay here! The lady was an excellent host. It is very rare to find someone so helpful, smiling as her. It is in a great location, less than 10 minutes walk from the lake Balaton. I have returned here after few years, I am again very satisfied. Despite the bad weather we could enjoy sauna and pool inside the venue which made our few days off even more relaxing. We stayed in an apartment with a wonderful panoramic view of Lake Balaton from our balcony. Our apartment was modern and clean. The garden areas were immaculate. There was an outdoor jacuzzi and a large barbecue area. There is ample space for parking. The property is gated and surrounded with security cameras. It's a great place to stay. Overlooking Lake Balaton. Hotel has it's own private frontage to the lake, with grassed areas and sunbeds. Breakfast included which had most choices. Easy distance for walking to the port, and the shops and bars....although most closed as the season has not started as such. That said, would hate it in the high season, very tacky. Mala Garden was not only a beautiful hotel, the staff was amazing (esp those working at the reception desk). They went above & beyond at every turn, helping to make the stay in Lake Balaton truly perfect. Could not have asked for a better stay. Part of me wants to keep this a hidden gem, but felt I should share how lovely it was. A nice place on good location. Perfectly clean. The host was very friendly. Really good value for the money. Highly recommended to anyone. Facilities and the lake is quite close. Anyway, I believe that Balatonfured is the best place around Lake Balaton. Hard to find parking place in town so the private parking lot is invaluable. Our room was comfortable,cosy,clean and the air conditioner was such a welcome on some very hot days.It was close to the centre and all the wonderful restaurants of Hévíz and only 10 minutes to Lake Balaton.The owners were very attentive ,caring people who made you feel like long lost relatives. The junior suite size and fact that you can separate bedroom and living room area is great. Panorama for lake Balaton and Almadi is simply amazing and location great just by the lake promenade and molo (walking bridge from hotel over busy road). Modern and with a private pool. Free Private parking. Big smart tv. One of the best i have seen all around Hungary. Great if you dont mind the distance to center. Few steps away from lake balaton. Great location, right on the shore of Lake Balaton, next to the promenade, friendly stuff, big and clean rooms! Very nice pool area. Downstairs restaurant which is really helpful. The guesthouse is in a really quiet neighborhood, in walking distance from lake Balaton. The room was clean, comfortable and well equipped, the owner was very kind and helpful. Friendly host, clean place, great location very close to lake Balaton, but still in a quiet area. Location, fresh air near Lake Balaton, fresh massage. Good breakfast, big rooms, great spa area-pool also for kids. The internet was very goog when it finally started working.